This fixes a problem from a previous recall. 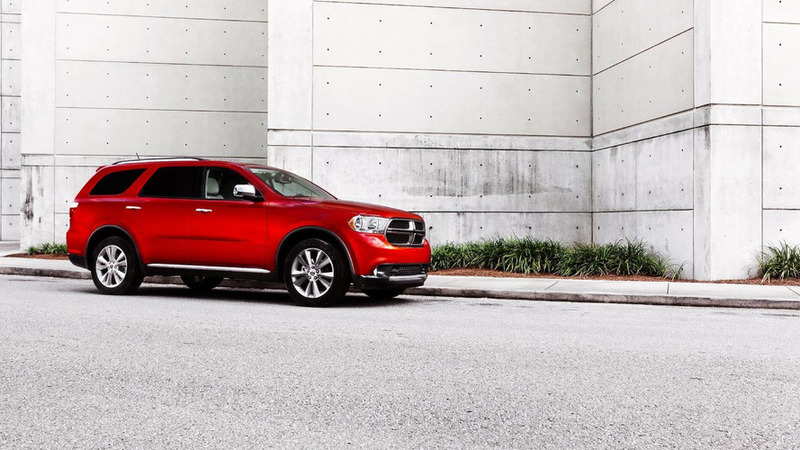 Fiat Chrysler Automobiles will recall a total of 709,837 North American examples of the 2011-2014 Dodge Durango and 2011-2014 Jeep Grand Cherokee to inspect the installation of the brake-booster shields. This safety campaign will include 646,394 units of the SUVs in the United States, 42,304 of them in Canada, and 21,139 vehicles in Mexico. These shields should protect the brake booster from water, but it’s possible liquid may still be able to access the component with them in place. This can cause corrosion to the booster and may eventually affect the function of the brakes. They would still work, but drivers may find the pedal to be very firm, according to FCA's testing. In some cases, a warning light might alert owners about the problem. “FCA US is aware of a single potentially related accident, but no injuries,” the company reported to the National Highway Traffic Safety Administration. This recall stems from an earlier safety campaign. In 2014, FCA installed these shields to prevent water from accessing the brake booster, but when the company reviewed warranty information earlier in 2017, it found some technicians might not have installed them properly. In these cases of faulty installation, liquid can still access the booster and potentially damage it. The company is now rectifying the problem once again. FCA dealers will begin inspecting the brake booster and its shield in early November, and the company will notify affected owners by mail. Technicians will repair any issues with either the booster or the shield as necessary. FCA will also supply updated instructions to dealers for correctly installing the booster shield. October 3, 2017 , Auburn Hills, Mich. - FCA US LLC is voluntarily recalling an estimated 646,394 U.S.-market SUVs to inspect their brake-booster shields for proper installation. The shields are designed to protect the boosters from water intrusion. Should water get inside and contribute to corrosion, and/or freeze, brake function may be degraded. FCA US is aware of a single potentially related accident, but no injuries. A booster compromised by water will still deliver brake function in compliance with U.S. federal safety standards. However, customers may experience excessive brake-pedal firmness. Additionally, a potential booster issue may be preceded by a warning light, and/or activation of the anti-lock braking system. Customers who observe any of these conditions should contact their dealers. The shields were originally installed in conjunction with a 2014 recall involving the same set of vehicles, nearly 95 percent of which have been serviced. A review of warranty data led to an FCA US investigation that discovered shields on some vehicles had been installed improperly. Affected customers are scheduled to be notified that service for this latest campaign will be available in early November. As always, FCA US urges customers to heed all recall notices. No action is required for vehicles with properly installed shields. Those found to have boosters with compromised function and/or improperly installed shields, will be serviced accordingly, free of charge. Affected are model-year 2011-2014 Dodge Durango and Jeep Grand Cherokee SUVs. Customers with questions or concerns may call the FCA US Recall Information Center at (800)-853-1403. Also affected are vehicles in Canada (est. 42,304) and Mexico (est. 21,139). Incorrectly Installed Brake Booster ShieldIf the brake booster shield was not installed properly, the vehicle's braking ability may be reduced, increasing the risk of a crash.